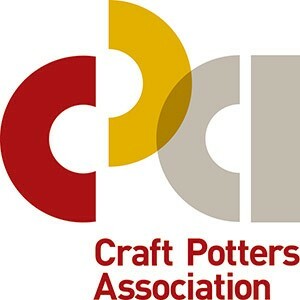 Established in 1958, The Craft Potters Association of Great Britain (CPA) is the national body representing ceramic artists living and working in the UK. Our mission is to sell, promote and foster interest and excellence in studio ceramic art. Our Members’ practices vary and represent this vast and compelling subject matter. Depending on the materials used and the aims of the maker, forms may be functional, decorative or conceptual. The CPA’s Contemporary Ceramic Centre, located at 63 Great Russell Street in London, holds regular exhibitions and an ever-changing spectrum of Members’ work on display and available for sale. The CPA publishes Ceramic Review magazine, the international magazine for contemporary and historical ceramic art, combining practical and theoretical features and reporting on trends, shows, rising ceramic artists and collecting. Working with partners like Central St Martins, Royal College of Art, Victoria & Albert Museum, Ashmolean Museum and York Art Gallery, we arrange talks, exhibitions, demonstrations by leading potters, and an annual residency programme. Each year, in co-operation with regional and national potters’ societies, we participate in ceramic events around the country. With support from funders like Headley Trust, we offer educational workshops, events and mentorship opportunities benefiting ceramists practices and the general public.